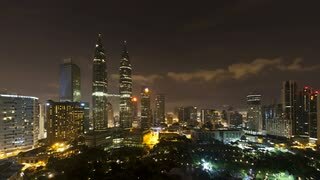 Timelapse high angle view of Kuala Lumpur City Centre (KLCC) / Petronas Twin Tower and KLCC Park from blue hour until dark. Also visible is the fountain display at the KLCC Symphony Lake. Blue hour view of the Petronas Twin Towers and KLCC Park, Kuala Lumpur City Centre KLCC, Malaysia, Kuala Lumpur, Asia, Time lapse. 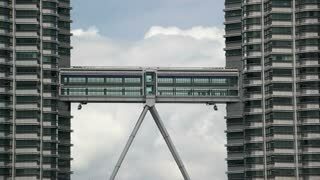 Zoom Out Camera Motion. 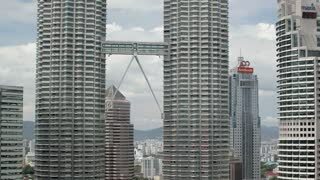 Kuala Lumpur, Malaysia - November 25, 2017: 4k b-roll cinematic footage of cloudy sky at Kuala Lumpur city skyline overlooking the famous Petronas Twin Towers KLCC and KL Tower, aerial view. Aerial view KLCC or Petronas Twin Tower and cityscape in the middle of Kuala Lumpur. Kuala Lumpur, MALAYSIA. Kuala Lumpur, Malaysia. January 2019. The lake in KLCC park with the skyscrapers on the background. 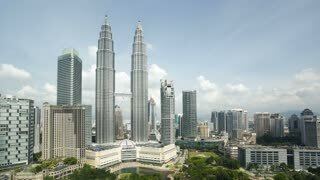 Aerial view KLCC or Petronas Twin Tower cityscape in the middle of Kuala Lumpur from drone. the fountains in the lake in the KLCC park in Kuala Lumpur. the lake through the skyscrapers in the KLCC park in Kuala Lumpur. Aerial top down night view with low clouds at KLCC or Petronas Twin Tower and cityscape in the middle of Kuala Lumpur.